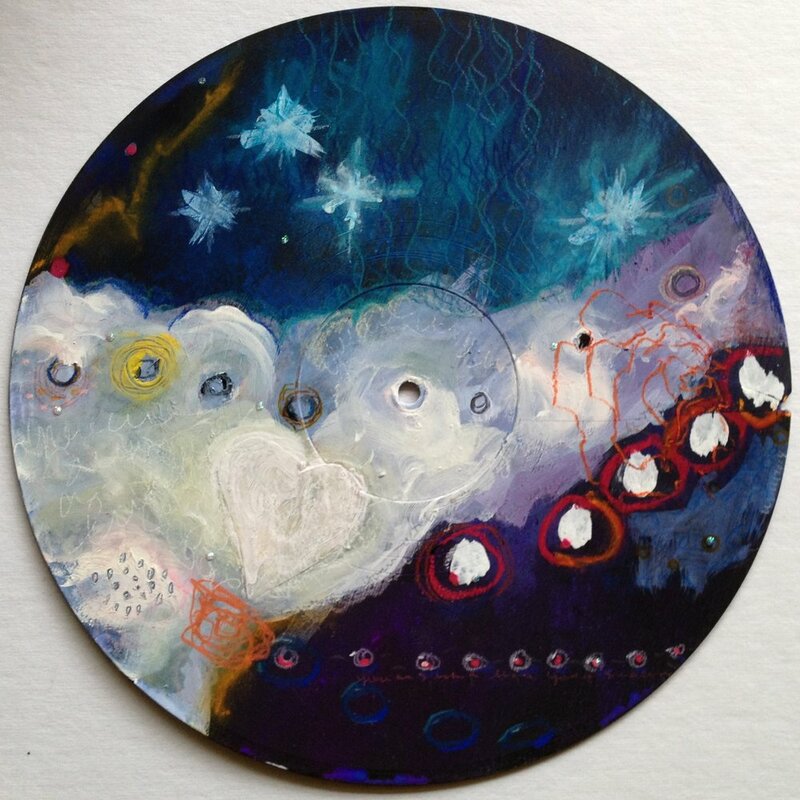 Commission a shamanic painting that heals. I love creating talisman paintings that help heal people or places with subtle energies! When working with on healing the Land, it is important for me to commune with the Land in-person. I walk, sit, listen, and co-create a painting with the Spirits of the Land, which will bring forth a stronger more, balanced relationship between you and the Land you live on. The painting acts as an intermediary, a portal that honors and connects You to the Land you live on. Creating a painting portal unites, balances and raises the vibration in your unique relationship with the Land, impacting all parts of your life. 12 x 12 inches for $750, with travel within 100 miles. with one day's travel outside of Philadelphia, PA. Artist's Note: If you live any where else and would like a painting created with your land, I will travel to you and create a custom-sized painting, agreed upon by you, me and the land itself. In addition, I will create a ceremony to balance your family and land through this painting portal. This service requires approximately 2-5 days on your land and costs $10,000. These paintings are healing works for a person or an animal. When I create these works I connect with the essence of the person using a photograph, and a simple questionnaire as the starting point. During a shamanic journey, I experience the essence of the person/animal, ask to experience the vibrational expression will bring the person into balance and keep them aligned with their true heart. Then do what I do best – I express that healing vibration with color and mark. 10 x 10 inches for $500, with a simple questionnaire intake form.